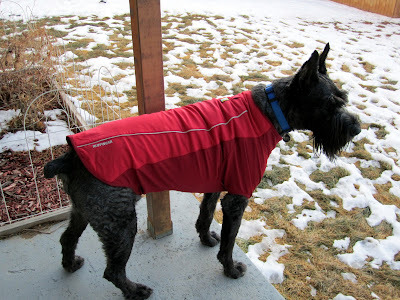 You should see Jag's adorable coat. He looks like some kind of adventurer. He's always been a skinny dog, so my mum bought him a jacket some time ago and yes, it really makes a difference. sautgate = almost the Scandal that Rocked the White House Kitchens! I'm sure when he gets used to the idea that coat = walkies he'll come to love it!